NWA Hall of Famer was 83 years old. 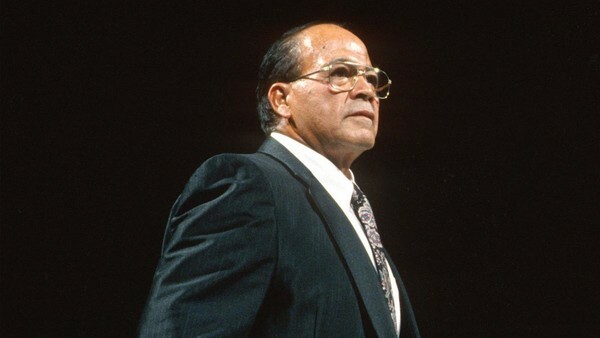 Former NWA President R. Bruce Tharpe has sadly announced that NWA Hall of Famer José Lothario has passed away at the age of 83. Lothario is best remembered by modern fans as Shawn Michaels' on-screen manager during his ascent to the WWE Championship in 1996. Lothario, born Guadalupe Robledo in Monterrey, Mexico in 1934, spent most of his career wrestling for the National Wrestling Alliance in the Florida and Texas territories. Though he won a bevvy of championships during his in-ring days, perhaps Lothario's most significant contribution to the industry was in passing on his knowledge to a plucky upstart from San Antonio called Michael Hickenbottom. In addition to teaching his apprentice how to hit a perfect inverted savate kick, Lothario also came up with a new name for his protégé: Shawn Michaels. As Michaels began the pursuit of his 'Boyhood Dream' prior to WrestleMania XII, José Lothario was by his side. The Mexican - effectively brought in to help the naturally unsympathetic Michaels win over the crowd during his big babyface run - stayed with HBK until Royal Rumble '97. Details of Lothario's death are not known at this time. WhatCulture.com would like to extend our condolences to his family and friends.